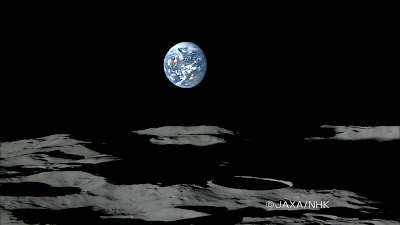 The Japan Aerospace Exploration Agency (JAXA) has sent their own space probe to the moon, called the SELenological and ENgineering Explorer "Kaguya" (SELENE). 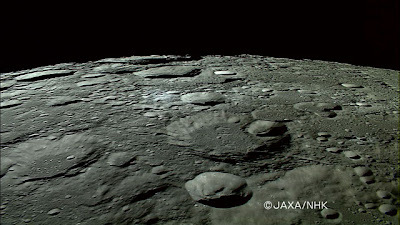 Kaguya was launched on September 14th, 2007, and its mission is general observation of the moon. 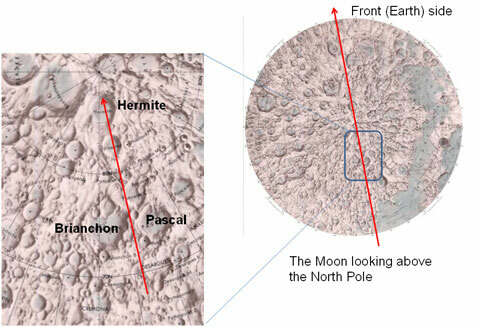 An image of the moon's north pole area returned by Kaguya. Kaguya carries with it an HDTV (1080p) video camera, in cooperation with NHK (Japan Broadcasting Corporation). This camera was used on October 18, 2007 to obtain high-definition video from an orbital altitude of approximately 100 km. Two passes were made for the video. 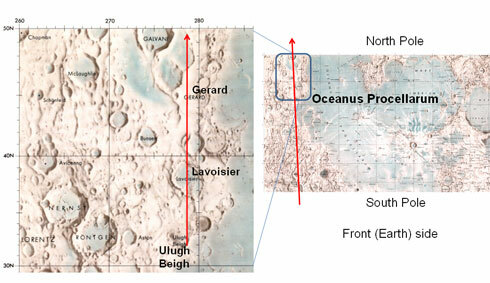 The paths are illustrated below. The second video pass carried Kaguya over Oceanus Procellarium. Orbital video from Kaguya. This video is played back at approximately 8x speed. Therefore, one minute of footage is eight minutes of flight time. 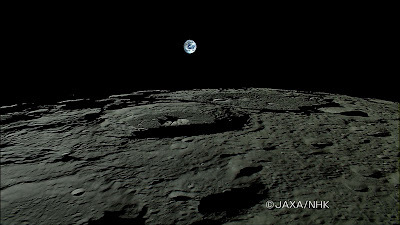 Stunning footage of Earth-rise and Earth-set from Kaguya. This image was taken on November 7, 2007. In this image, which is a still capture from the Earth-rise video, you can see the Arabian peninsula and the Indian Ocean. This image was taken on November 7, 2007, and shows Australia and Asia. This is truly a great read for me. I have bookmarked it and I am looking forward to reading new articles. Now follow-up the keyword Cash Advance Keep up the good work!